Side hustles... You've surely heard of them at this point, but is it really an attainable goal for a busy college student, or even a college grad working a full time job? YES! I can definitely vouch for side hustles because I have seen how incredible they can be first hand. There's a lot of different ways you can create a "side hustle" and actually make a significant income from it. 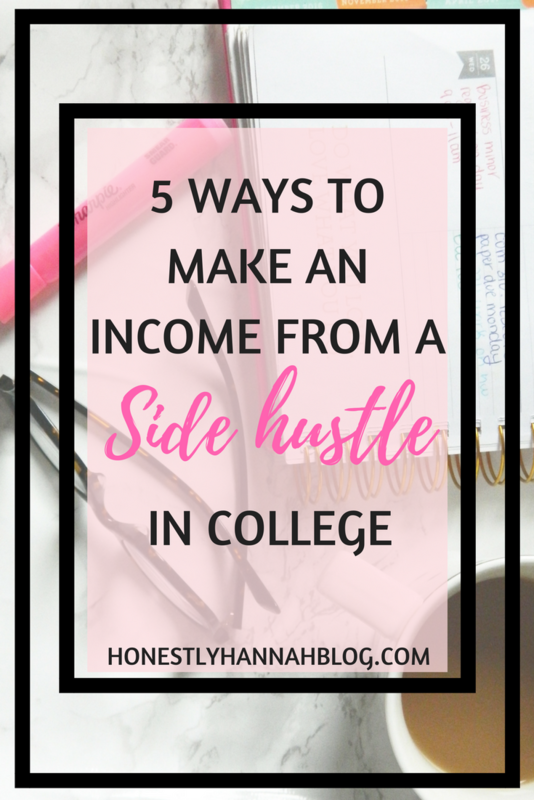 I wanted to share 5 ways you can create an awesome side hustle in college! I wanted to start with this one because I'm not actually sure if this constitutes as a "side hustle," but why not? I was so surprised when I discovered how much money you can make by simply selling the clothes you don't wear anymore online! I discovered Poshmark awhile ago and started posting clothes, shoes, and accessories that I no longer wore. I've noticed that designer items tend to sell a lot quicker, and obviously go for more money, but people are looking for all different kinds of clothes when they go searching on Poshmark. I sometimes wish I was more creative when it comes to handmaking things than I am, because I would LOVE to start an Etsy shop. I've personally always loved shopping on Etsy, and I've dreamed of starting my own shop. It can be a great way to start your own little business by selling things you've created to people who are looking for cute, handmade products! Using a site like RedBubble or Etsy to begin your own little business can give you some great experience and a bit of extra money during your college years. I honestly never realized how much money people make on social media. There are people that literally make a full-time income just from social media... like what? After becoming a blogger, I've seriously realized that this is completely possible. Of course, if you want to do this, it's important to have a high number of followers and a gorgeous Instagram feed. People are likely more inclined to follow accounts that look really pretty. I'm a firm believer that starting a blog is the ultimate side hustle. There are tons of people who make a full-time income from their blog. 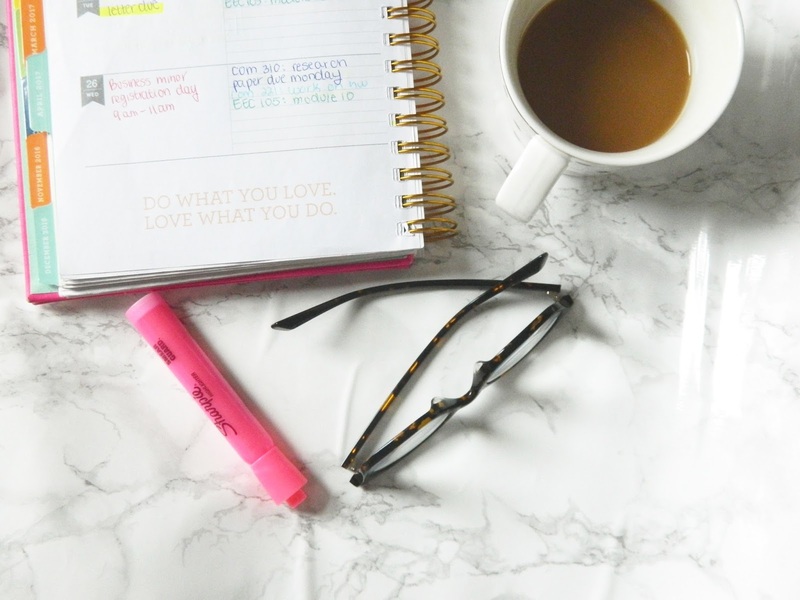 When I first started my blog, I didn't realize that it was possible to make an income from my little site on the interest, but when I started doing research on it, I discovered that making money blogging is totally possible. I have a post all about starting a blog here if you'd like to check that out. A post will be coming soon that's all about making money blogging! Thanks Nikki glad you found it helpful!